An elegant pen that features a hexagonal shape and comes presented in a stylish gift box. Born and presented in a classical gift box the hexagonal ballpoint pen brings you style, quality and confidence at a value orientated price. 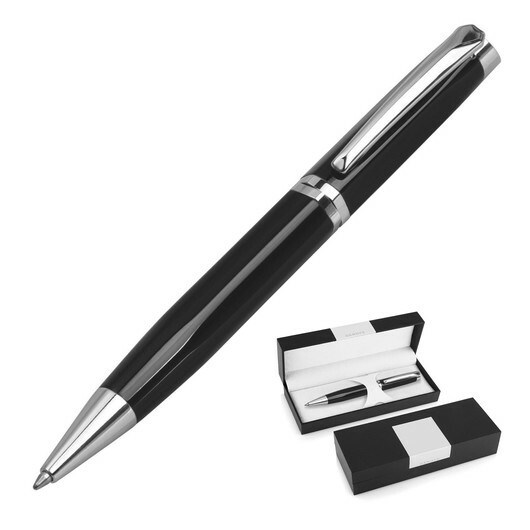 The twist action, retractable ballpoint delivers black ink in a style appropriate to the finish and chrome trim. Features a Swiss Derofe metal refill with a writing distance of 9300-9500m.